True 'dat: this is the image I used in my blog on Stuff. I like it so much here it is again. It’s been an interesting week – and it’s only Thursday! Let’s start with yesterday, shall we? You might have heard about the story of an American guy called Ryan Van Cleave who had an addiction to World of Warcraft, so much so that it cost him his family and his job. He’s writing a book about it , apparently, and there a story up on Stuff about it. So far, just another mainstream media story about someone addicted to video games. Nothing to see here. Was he just a troll or serious? Now, Nik might be a troll just trying to get people’s backs up with such a comment – it certainly worked – but he/she might actually believe what they said. So, I blogged about it, saying “Nik’s comment, unfortunately, is a sweeping generalisation from someone who doesn’t know anything about the industry – and probably hasn’t played a video game before.” Now, while in itself my last comment could well be a generalisation, I don’t believe that a gamer would call other gamers sad losers. Nope, I don’t think they would. When I checked my blog last night I was amazed at how many people had left comments – I just checked before writing this and see that there have been 123 comments. Apparently that was the most comments on any Stuff blog for yesterday. That’s pretty good for a very niche blog on a nationwide website like Stuff. Writing the blog felt good, it felt therapeutic, but I thought that was the end of it, but nooooo. Last night, while checking my Twitter feed I saw that I had a DM from Andrew Mulligan, part of The Rock radio station’s morning team. He’d seen my blog and wanted to know if I wanted to talk about it then this morning. I said, yeah, most definitely. Mulligan’s a gamer himself – I’ve seen him playing Call of Duty often on his PlayStation 3, so he know what being a gamer is like. Mulligan rang me at 7.25am this morning just to check that I was still cool about talking to them – of course I was: I’m always keen to represent gamers. Long story short, the interview, which was only a few minutes, went extremely well, with me getting a receptive audience to a suggestion that gamers aren’t losers and someone playing games for a couple of hours a night is no different from someone sitting down on the couch and watching TV all night. 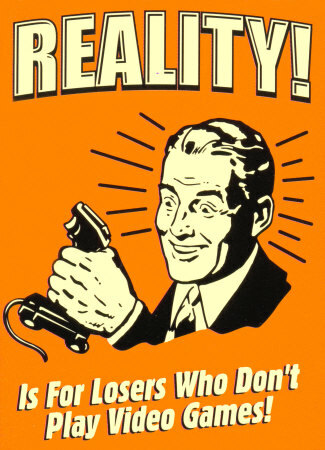 In fact, watching TV is probably worse for you, especially with all these reality cooking shows that seem to be on TV. Andrew Mulligan is trying to see if he can track down some audio of the interview – I haven’t heard it yet but my daughter told me I say “You know” a lot – and if he does, I’ll post it here as soon as possible. Samsung Galaxy tablet 10.1: a pretty sweet tab from Samsung, obviously. In hardware news, I’ve been looking at Samsung’s Galaxy Tablet 10.1 this week and I’m pretty bloody impressed with it actually. I’ve got the 16Gb wi-fi only model, so it means I’m restricted to using its online capabilities when I can find wireless networks, but it’s a pretty slick piece of hardware, running Google’s Honeycomb version of Android (3.0). 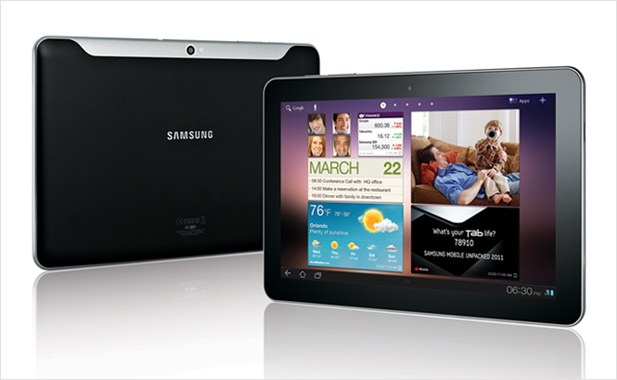 The Galaxy Tablet is incredibly thin, with a nice bright display and responsive touch screen. I would like to have seen an SD card slot or something but maybe that’s something that will come with a later addition. I can see why Apple is worried about this tablet: it’s pretty slick and I wouldn’t be surprised if it gives the iPad 2 real run for its money. Isn’t Apple suing Samsung in Australia for patent infringement or something? Please sir, can I have an interview? Also this week I’ve managed to organise interviews with someone (anyone?) from game developer DICE about Battlefield 3 – well, I’ve approached EA’s lovely PR woman in Australia to see if she can organise an interview with someone from DICE. She said she would, and I believe her (although, I’ve been burned earlier this year when I got an opportunity to email interview developer Human Head about Prey 2 before E3 – but whoever at the studio the questions were going to just hasn’t bothered to answer the questions. That pisses me off and makes things difficult for the PR person. I’ve also got an interview lined up with Rod Ferguson, from Epic Games, about Gears of War about Gears of War 3. Hopefully that’s going to happen sooner rather than later – as Gears is out in less than 20 days. I wonder if he’ll answer any questions about whether the rumours about a Gears game for Kinect! Oh, I’ve also got an interview lined up with someone who worked on PlayStation 3 game Resistance 3 – I can’t remember his name. Review code for that game arrived today, too. Phew, looking back at all that, it’s been a busy week, but you know what? I rather have a busy week doing gaming and tech related stuff than a boring one doing other stuff.